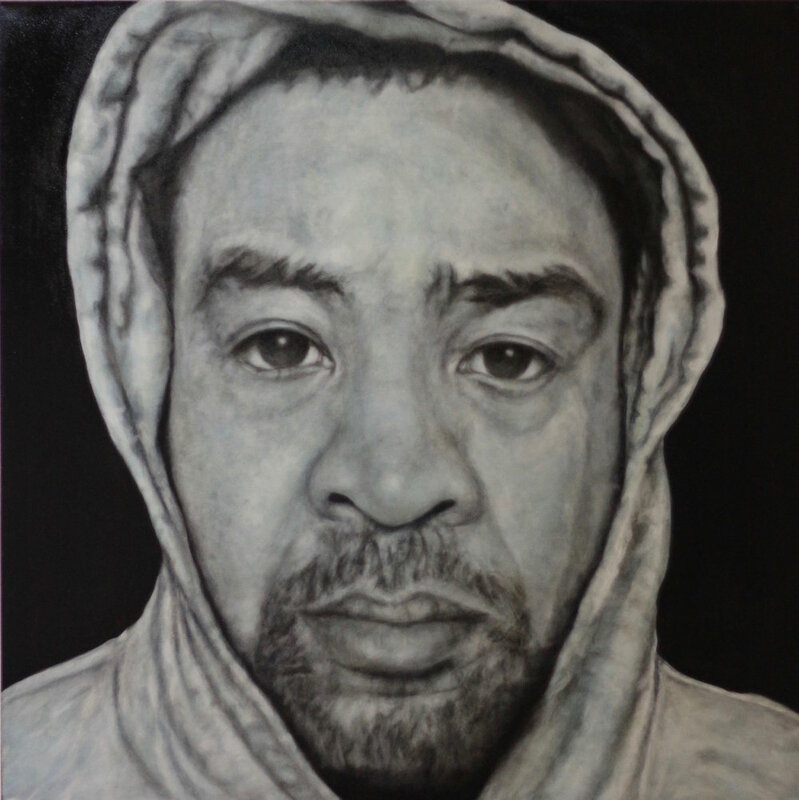 "In The Hood - Portraits of African American professionals wearing a Hoodie", oil on canvas, 48"x48", 2014. After the Trayvon martin shooting, I felt so helpless and angry about outcome of the verdict. Police abuse of power and violence against POC has increased and more and more black man and women are targeted and profiled by the police. I wanted to do something with my anger. I asked the higher power what is it that I need to do. I heard a voice which said" Create alliances with your brothers and sisters and asked them to pose for you. Put them in a hoodie. My friends and colleagues responded to the project, and together we collaborated on this project which narrates "Perception" VS. "Reality." I first asked a long time friend and collaborator, Mignon McPherson Stewart if she could pose and create a spoken word show around the paintings. She agreed. Mignon and I had worked with the same theater company and performed in the Philippines together. She connected me to other allies and collaborators. They are friends as well as accomplished artists, Yale graduates, educators, captain's of a wide body commercial aircraft, lawyers, doctors, business owners, fathers, mothers, brothers, and sisters. Their "Reality" remained the same but the outside "Perception" changed as they donned the hoodie. 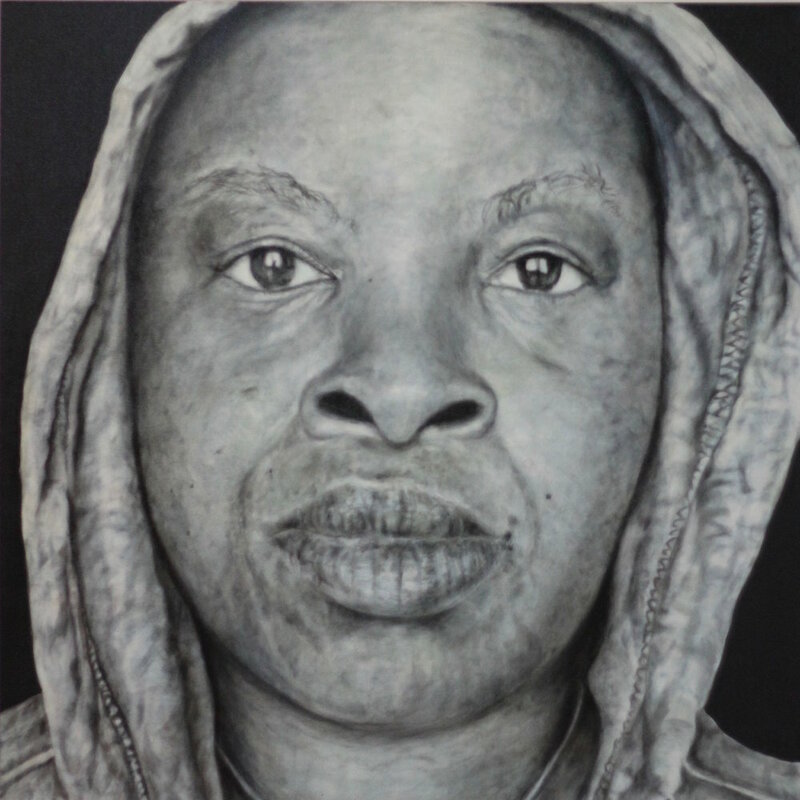 This project is an homage to all the Trayvon Martins in the world. 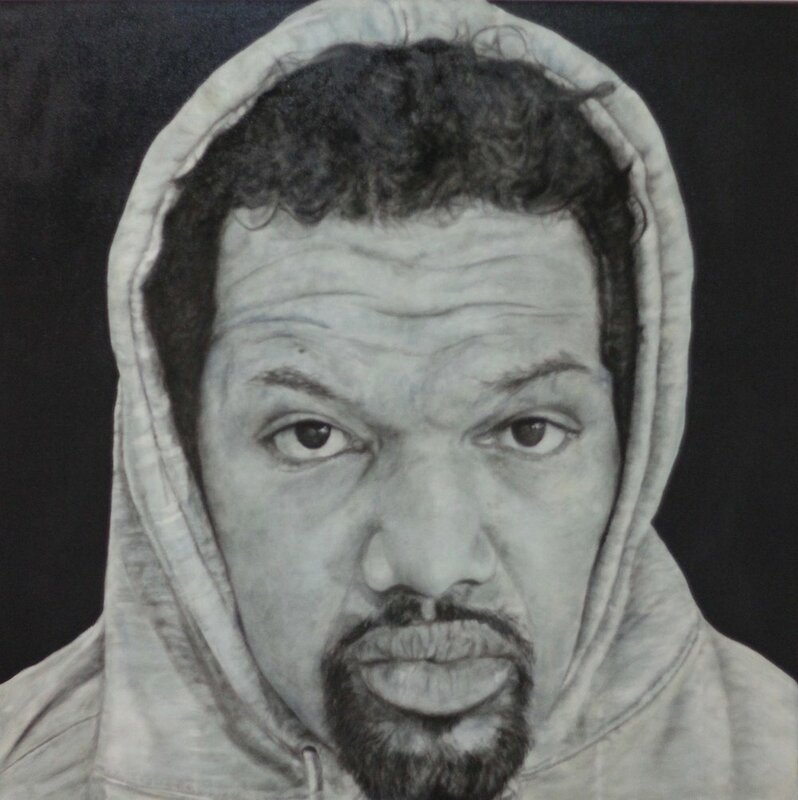 "In The Hood - Portriats of African American Professionals Wearing a Hoodie", oil on canvas, 48"x48", 2014.